Having just dealt with Hurricane Irma, I am being reminded of the importance of having an emergency fund. More specifically, I’m being reminded why I need a rather large emergency fund as a freelancer. General financial wisdom says we should have three to six months worth of expenses in an emergency fund. Some older financial advice says to just work toward having $1000 in an emergency fund. I’m here to argue that, as a freelancer, that is definitely not enough. 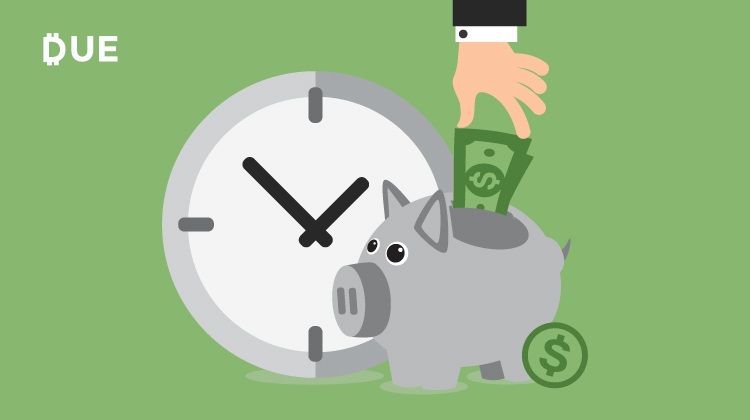 Here are four reasons why freelancers need a large emergency fund that is more than $1000. You never know when you’ll need cash on hand. Being a native Floridian, I’m keenly aware of the need to take hurricanes seriously. I also know hurricanes do whatever they want. And, given this year’s very active season, it’s reminding me that you never really know when you need cash on hand. For instance, I had to take out a few hundred dollars in cash to be on the safe side. Simply put, ATMs don’t work in the midst of a natural disaster and cash is king. My roommate actually booked a flight out of the state. Many people found themselves paying a lot of money for flights out of Florida. People are also staying in hotels in other hotels to get away from storms. How are you going to do this and survive if you don’t have a large emergency fund? You never know when uncontrollable circumstances affect your work schedule. A hurricane means there’s a good chance I’ll be without power for a few days. In more extreme cases, like what we’re seeing in Houston, it could be weeks or months. Of course, this means I’m not working while I’m disconnected from the world. If I’m not working I’m not getting paid. Last time I checked, bills don’t stop just because of an emergency so you need a large emergency fund. You don’t know if you will need to pay taxes early. Here is something I experienced for the first time. Hurricane Irma was set to hit in the beginning of September. Do you know what September 15th is? That’s the say estimated taxes are due for the third quarter. While the IRS has exemptions for natural disasters, it’s not always guaranteed. What if there’s a disaster in the forecast but it doesn’t actually happen? Or what if the situation isn’t catastrophic enough? Because of this, my accountant told me it’s better to pay the tax bill beforehand just in case. Seeing as how I couldn’t wait for money I had on the way to hit my bank account, a portion of my tax payment came from having a large emergency fund. There doesn’t need to be a natural disaster in order for your workload to vary. Sometimes it’s simply a matter of bad timing or deals not going through. For this reason, you need to have a large emergency fund to ride out the lean months. Freelancers need a large emergency fund to deal with life’s surprises. Period. If you haven’t started one yet, consider saving as much as you can from now on.